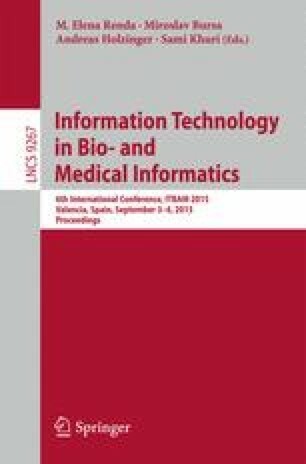 In this paper we present an evaluation of ant-inspired method called ACO_DTree over biomedical data. The algorithm maintains and evolves a population of decision trees induced from data. The core of the algorithm is inspired by the Min-Max Ant System. In order to increase the speed of the algorithm we have introduced a local optimization phase. The generalization ability has been improved using error based pruning of the solutions. After parameter tuning, we have conducted experimental evaluation of the ACO_DTree method over the total of 32 different datasets versus 41 distinct classifiers. We conducted 10-fold crossvalidation and for each experiment obtained about 20 quantitative objective measures. The averaged and best-so-far values of the selected measures (precision, recall, f-measure, ...) have been statistically evaluated using Friedman test with Holm and Hochberg post-hoc procedures (on the levels of \(\alpha =0.05\) and \(\alpha =0.10\)). The ACO_DTree algorithm performed significantly better (\(\alpha =0.05\)) in 29 test cases for the averaged f-measure and in 14 cases for the best-so-far f-measure. The best results have been obtained for various subsets of the UCI database and for the dataset combining cardiotocography data and data of myocardial infarction. This research project has been supported by the project number NT11124-6/2010 “Cardiotocography evaluation by means of artificial intelligence” of the Ministry of Health Care. The research is supported by the project No. 15-31398A Features of Electromechanical Dyssynchrony that Predict Effect of Cardiac Resynchronization Therapy of the Agency for Health Care Research of the Czech Republic. And I would like to acknowledge the UCI repository  and the relevant donors and creators of the datasets. This breast cancer data (Parp_BRLj) was obtained from the University Medical Centre, Institute of Oncology, Ljubljana, Yugoslavia. Thanks go to M. Zwitter and M. Soklic for providing the data. The blood transfusion data (UCI_bloodt) has been provided by Prof. I-Cheng Yeh . The Breast Cancer Wisconsin dataset (Parp_BRWis) was obtained from the University of Wisconsin Hospitals, Madison from Dr. William H. Wolberg . CTG data originate from Faculty Hospital in Brno, Czech Republic. The CTG database is freely available online .